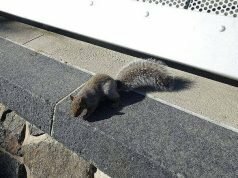 You could have the most luxurious living space in the poshest of localities, but it all accounts for nothing if your house is infested with furry creatures from down the drain. Designer leather couches, Avant Garde coffee tables, plush bean bags- rodents can cut through the most expensive furnishings and destroy everything in their wake. And not to mention, the germs and diseases they carry! Rodent bite can have some serious and sometimes fatal consequences. Don’t worry though, you don’t have to spend a fortune hiring pest control services to kill these critters. Here are a few simple home remedies that do the job for you. Most people believe that mothballs are fatal to rats. Well, it’s high time we burst that bubble. In fact, it would come as a surprise to many that mothballs or ammonia don’t even repel rodents for long! Both these substances contain a chemical that irritates rats, something they find difficult to be around. However, simply putting a few mothballs around the corners and up the attic isn’t going to make any difference. Once the rat family decides to nest at a particular location, it gets very difficult to chase them away. You can put all sorts of nasty smells and poisons around, but rats will find a way to get around it and continue breeding. A humane way to get rid of rats naturally is to chase them away with unpleasant smells. However, these smells only repel the rats away, keep them off your property for some time. There’s no guarantee that they won’t re-infest the area again. Rats hate any strong odor of chemicals or ammonia. Mothballs, as discussed earlier, is but a temporary solution. For as the smell dissipates, the mice return full force. Other smells that the rats find unpleasant would be peppermint, fabric softener, kerosene, and chemical repellents. You cannot keep the pests away forever, nor can you share your property with them. What’s a homeowner to do? Kill them of course! It doesn’t sound like the most humane way to deal with these pests, but desperate times call for desperate measures. There are loads of rat traps and poisons available in the market that you can use for curbing their population. And if you want to save money, you can make your own DIY rat traps to exterminate them naturally. But more on that later. If you think that having a rat or two scurrying about the house is not a big deal, think again. Rats reproduce and increase their population pretty fast. What starts as one tiny mouse soon ends up usurping your living space altogether. You have to nip it in the bud, get rid of them ASAP. These home remedies would help you with that. Pepper might be a beloved spice and flavoring agent for us, but the mice hate it with all their heart. The very smell of ground pepper or black pepper is intolerable for rodents. A mere whiff of the condiment and they run the opposite direction as fast as their tiny feet would let them. Sprinkle generous amounts of pepper all over the corners of the house- it burns the lungs of the rats, killing them immediately. Onion, a common kitchen ingredient, is an important flavourful agent used in pretty much all our cuisines. Rats, on the other hand, detest the smell and flavor of onions. The pungent, rich and strong odor of the vegetable creates a burning sensation in their eyes causing instant irritation and discomfort. Just slice an onion and place it around the corners and watch how the rodents scurry away from your place. Bay leaves work as a double-edged sword to exterminate the rats for good. The subtle fragrance of the leaves lures the rodents towards it but as soon as they consume it the secondary metabolites kill the rats almost instantly. The rats don’t have to suffer much, this is possibly the most humane way to kill them off. Mothballs are great for temporarily driving the rats away. Also, it is an effective remedy if you have but two or three rats around the house. We suggest you don’t use the method if you have a large colony of rodents scurrying about the house. And you need to keep the mothballs away from children. The poisonous substance might cause skin irritation or breathing problems if inhaled or consumed. Ammonia again is an excellent repellent for mice in the house. The pungent smell of ammonia, when mixed with water and detergent, creates a mixture that’s unbearable for rats. Mix the ingredients to a paste and place small quantities of this mixture in and around the nesting areas. Cat urine or kitty litter around the house is not a pretty sight but it sure works wonders in keeping the nasty rodents away. For better results, you can combine the two and scatter it around the corners of the house. On the downside, cat urine smells really bad and can be unpleasant for the inhabitants of the house. On the plus side, the rats scurry at the speed of lightning as soon as they get a whiff of their natural enemy. Rodents really cannot stand the smell of mint, even more so if you use it in concentrated, like in peppermint oil. The pungent or overtly aromatic essence of peppermint helps you keep the small mice away from the property. However, make sure that you replace the oil every few weeks as the smell fades away and dissipates in the air very quickly. Castor oil is also a popular repellent when it comes to driving rats away for good. The thick consistency and strong odor of the oil irritate the rodents, chasing them away effectively. Pour a few drops of castor oil in and around the nested area. You can even use Citronella oil or essential oils as an alternative. Baby powder might not be as effective as peppermint or mothballs in driving rats away, but it sure has its benefits. You can sprinkle some baby powder around the corners. The sweet fragrance intoxicates the rats making them disoriented and hence easier to catch. You can even use the powder as a trap to lure them in cages and then rehabilitate them elsewhere. A good way to welcome the rodent family to your abode would be to offer them potato chips and instant mashed potatoes. We’re not kidding, a little hospitality goes a long way in getting rid of these pesky creatures altogether. For you see, potato flakes are dehydrated beforehand and inflate when they come in contact with saliva and gastric juices. So, once the rats eat the flakes, it starts expanding in their stomach, bloating it to the point of rupture, killing them slowly but surely. Now, this method sounds pretty disgusting, but you have to think of the greater good here. Cow dung cakes with their repelling odor and heavy nitrogen content sure get the rodents right where it hurts. Place some dried cow dung cakes on and around the affected area, the dung expands once it comes into contact with the abdominal acid causing heavy bloating and pain. And they don’t die inside your house, they run away to open space before dropping dead. Toilet cakes are also an effective way to control the rodent population around the house. 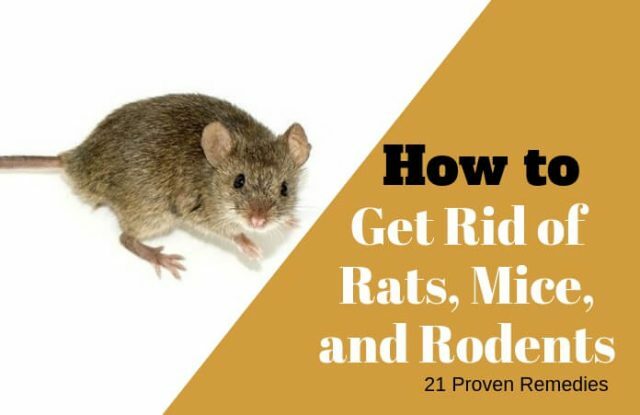 Simply leave around a few of them in the attic, yard, garage, the basement, and every other corner that you think rats might visit or breed in. The strong smell repels the rats and also cuts through their stink, and refreshes the stagnant air around the house. It’s a win-win situation. Pests, especially mice, can hear high frequencies that way beyond the human capabilities. However, they don’t particularly jam to these sound waves you know? Ultrasonic sound frequencies can be fatal for the rats causing ear bleeds and heart attacks. Install an ultrasonic device in your home and watch how the rats escape your home like plague (irony much). A homemade poison for rats includes mixing plaster of Paris and cornmeal (in equal measures) in a bowl and adding 1.5 cups of milk to it. Combine these ingredients in a paste-like consistency and then make put little pieces of this substance around for rats. A word of caution, though this mixture is non-toxic to adults, we suggest you keep it away from the reach of children as they might eat it and choke on it. Believe it or not, but rats cannot bear the sight of human hair. Throw a few strands of your hair (or maybe your partner’s) in and around the susceptible nesting grounds and watch the disappear ASAP. And the rodents that don’t escape the sight of hair would eventually end up eating them and choking to a slow painful death. A mixture of flour, baking soda and sugar can be quite fatal for rodentsCombine these ingredients in equal proportions and place small quantities of it in the corners frequented by the rats. Baking soda affects the digestive system of the rats. The compound mixes with the acid and gastric juices of their stomach, causing inflammation. On eating this mixture, rats would experience severe abdominal bloating and rupture in the internal organs. 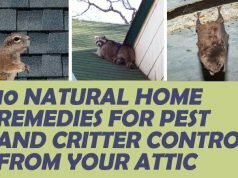 It is an effective pest control method because it kills rats outdoors. Mesh of steel or metal wool is something that keeps the rats away from entering the house. If you block the entry-points using steel wool, chances are the rodents wouldn’t be able to cut through the metal and or die trying. You can even cover your food with aluminum foils to prevent rats from gnawing through the container. Cloves might smell pleasant to us, but mice find them distasteful. You can place a few cloves around the corners or better, yet sprinkle come concentrated clove essence around the house. It freshens up the air, makes your house smell good and repels the rats away. Be careful that the clove (both oil and whole cloves) are kept out of the reach of children and pets. We’ve all seen those wooden mouse traps Tom uses to catch Jerry. And while he always fails to get hold of the notorious mouse, the reality is a different picture. For starters, mice aren’t that smart. And secondly, DIY traps aren’t as inefficient. All you have to do is lure the rodents in with food, shut the door and the relocate them somewhere in the wild. 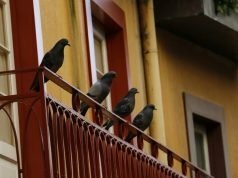 One of the easiest ways to kill rats in house and prevent them from breeding in your property is to get a cat or an owl. Install nesting boxes in the backyard to attract barn owls from the neighborhood. Let nature do her work. However, remember that getting a pet is a serious commitment. You need to take care of the animal, shower him with love and affection, and not just exploit it as a pest control device. If you cannot afford to keep pets or invite owls to the backyard you can create an illusion of having pets and scare the rats away. Bird feathers, especially those of the owl, are readily available and give rodents an impression of their presence in the house. Place a few strands of owl feathers around the rodent holes and watch how they run for their lives. Plant mint both inside and outside your house- rats detest mint. Nobody likes sharing their house with pesky pests, more so if the inhabitants are a family of rodents, hell-bent on destroying your furniture and books. Thankfully, you don’t have to call in professionals (unless absolutely necessary). With these home hacks, you can easily curb a small-scale infestation problem without having to burn a hole in your pocket.